If you aren’t that into tech, you may think that apps and mobile websites are one and the same. The truth is, these two concepts are very different. It is important for a business to create both a mobile website and applications that can function on different kinds of devices. Here are the differences between the two, and why it’s so important that you create both for your business. An app is shorthand for software application. In order to be used, it must be downloaded to a device. It is essentially a product that must be approved by an app store so your customers can locate and download it. Designing an awesome app with BuildFire allows your customer base to access information about your business, even when they’re offline. For example, an app can download current articles and provide location details even if the device isn’t connected to the internet. It also allows you to create notifications that can be automatically shared, which reminds busy people of your brand on an almost daily basis. However, this only works if people enable notifications for your app, which means it’s important that you create messages that people actually want to read. 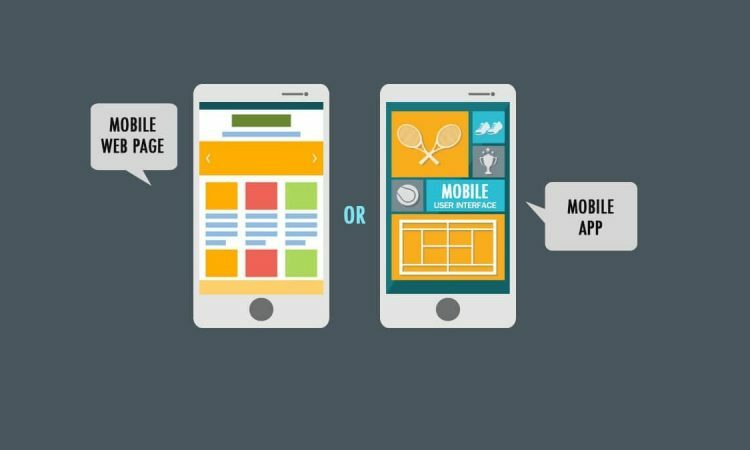 Mobile websites are different than regular websites because they automatically scale to different sized screens. That enables a visitor to view your website on a desktop, laptop, tablet, or cell phone without the design of the website being compromised. A mobile website does not need to be downloaded. Instead, the user accesses the internet and types the website into the search bar. Having a responsive website ensures the mobile version of your site shows up if the person is accessing your site using a mobile device. Although the differences between apps and mobile websites now seem as different as night and day, the line is blurred when you consider all of your app options. Native mobile apps: These are probably what come to mind when you think of apps. They include social media and news apps. Hybrid mobile apps: These apps can be installed on a device and run using a browser. They allow a company to cross platforms, but they don’t function as smoothly as native apps. Traditional web apps: This is what most consider as a traditional website that can be viewed on a desktop or laptop computer. Responsive web apps: This type of app allows the website to appear differently, depending on the device that’s used. It is what enables mobile app designs. At the end of the day, it’s about reaching the widest audience possible. That means using mobile apps, a traditional website, and a mobile site to ensure as many people as possible have access to your brand. Although it may take a lot of time, energy, and money to get everything up and running, you’ll be glad you did when you see your bottom line increase.